Nanomaterials have been found to have interesting electronic, magnetic and optical properties. They can manipulate electromagnetic fields through localised surface plasmon resonance to modulate light interactions. 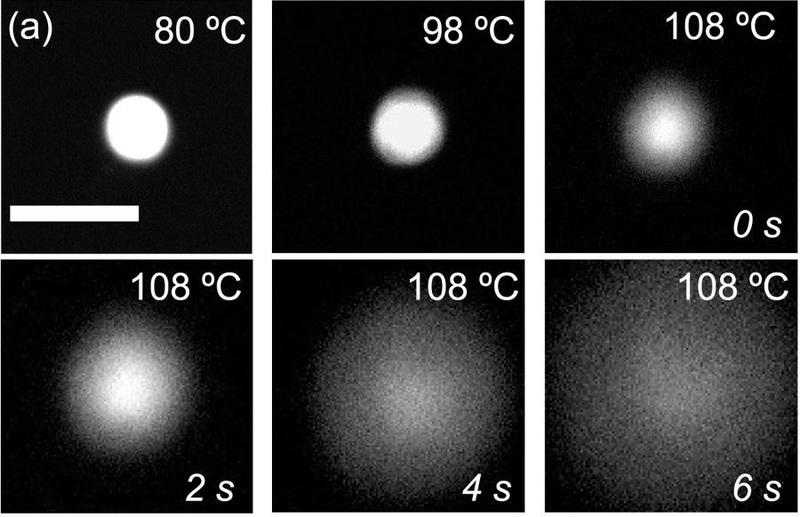 Such plasmonic phenomena are popular in application for the biomedical field. February’s Paper of the Month comes from the University of California, Merced and Stanford University. They developed a micro-scale delivery module for various organic and inorganic compounds using nanomaterials. Their aim was to create something that would be versatile and capable of encapsulating a range of different materials (drugs, dyes, cells, bacteria, etc.) for many different applications. These could include drug delivery for cancer treatment, releasing dyes in vivo for fluorescence imaging, or tissue engineering. The problem with most current platforms is that they are either leaky, unable to hold the contents without loss for any prolonged period, or they are incapable of releasing contents in a spatially and temporally controlled manner. For example, other cargo delivery systems that use light to activate the release of the cargo need several milliwatts of power over several minutes to achieve the required effect, therefore creating significant localised heating. The group managed to reduce the power required to less than 2 mW and the release time to under 5 seconds. As a result, the total temperature increase at the vicinity of the capsules is only to ~ 40°C, which is well within tolerable limits for many biological systems. Fluorescence microscopy images of a Nano-Assembled Microshell loaded with a fuorescent dye on the LTS350 stage. Their method has proved to be exciting and advantageous. No leakage was seen for over five months after encapsulation, promising a long shelf life. Furthermore, a lower optical intensity was required for shell disintegration compared to other methods. Although more work is required to improve future in-vivo applications (such as actuation by near infra-red and reducing overall size of capsule), their work is a promising result for future cargo delivery systems. *The LTS350 has been superseded by the LTS420 offering a large temperature range and better temperature control to 0.01°C.